Ladies and gents, I’m stoked to introduce a new segment to complement what I believe SOUTHBOUNDSUAREZ to be all about: celebrating sport and style. Snowboarding-because it makes me feel like I’m flying, St. Louis Cardinals-because I went to college in St. Louis and that team truly brings the city together, and Michael Jordan-the only athlete I ever had on my Valentine’s cards. How does sport translate into your personal style? I incorporate a lot of 80s and 90s athletic wear into my every day style. It has been said that I might have one of the best collections of crazy color blocked vintage ski coats…EVER. I like loud colors and patterns, and it’s also important that my clothing is functional and versatile enough for the sports I participate in every day, such as sitting in front of a computer, tap dancing, and practicing parkour as I make the trek from the last parking spot on the Nike campus to the 4th floor of the Michael Jordan building. 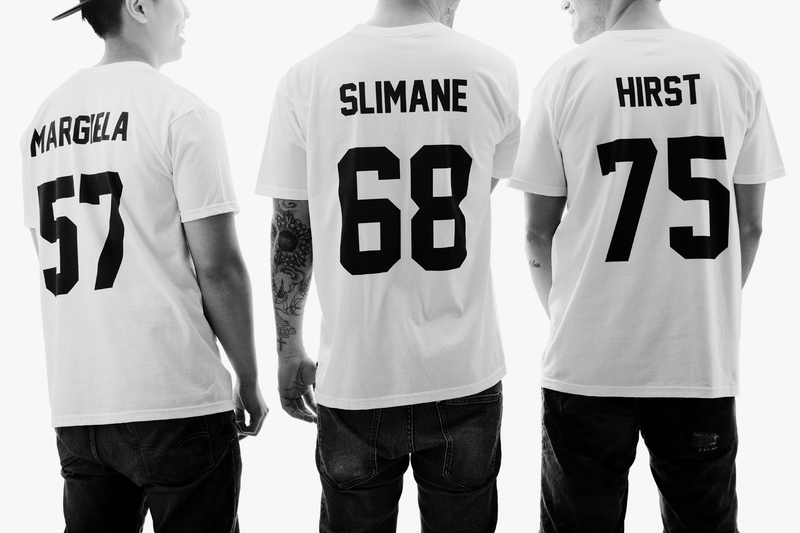 How do current fashion and streetwear trends influence your work designing for basketball? When designing basketball apparel, I definitely take into consideration current streetwear trends when relevant and look to runways for upcoming trends. Actually, attempting to translate trends that seem the least relevant to basketball can produce the most interesting and unexpected results. My basketball designs are a carefully considered mix of fashion elements, the latest sports technology, and the bold Jordan aesthetic. I got to pick out some back pocket embroidery color for denim at Big Star. Haha. The first ‘real’ thing I designed was some snowboarding bibs for B by Burton. I don’t know what was the first time was. My designs have been worn by all kinds of pro snowboarders of the years including Shaun White, Scotty Lago, Hannah Teter, Kelly Clark, Halldor Helgason, and more. 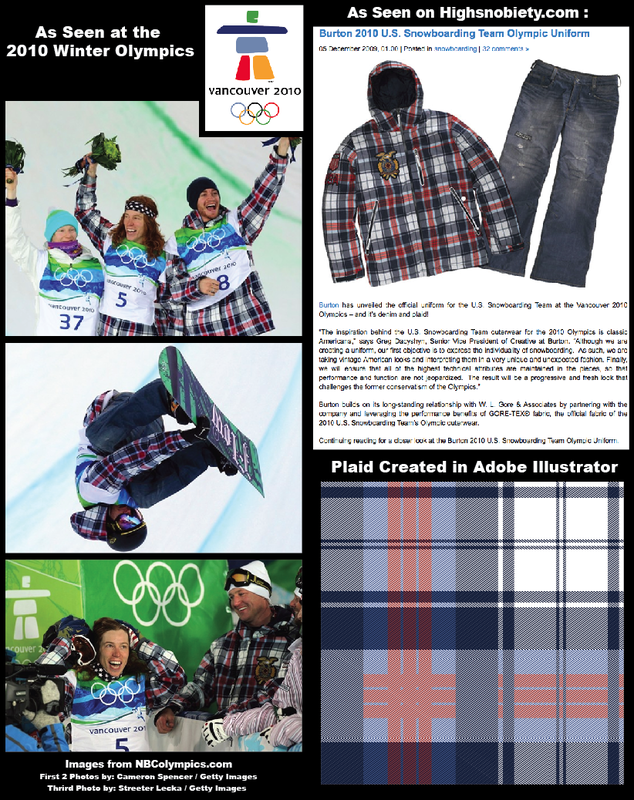 Probably the most universal/main stream press my design work has received is for the Olympic uniforms for the 2010 US snowboard team…that and Justin Beiber wearing a t-shirt I designed for Neff. What is one of the biggest challenges in designing for sport categories? The biggest challenge is always to make clothing that functions at the highest level possible for that sport and at the same time, make it look cool that people will want to wear it regardless of playing the sport it was designed for. That is a challenge I love to take on. Being in such a niche, when or how did you arrive at designing for active categories? I guess my career kind of evolved into this. By the time I graduated from art school I knew I was going to move to LA with the intention to get into snow/skate/surf because I liked the aesthetic and attitude associated with these sports. Ending up in the Jordan brand at Nike was an unexpected evolution, but it makes sense. If you could re-design any professional team uniform, who’s would it be? I would really like to re-design the color for the Los Angeles Clippers…haha! I have to design product for Chris Paul that uses his team colors, and that bright red and blue are not my favorite. I am loving short shorts making a comeback for guys a move towards a more fitted and tailored silhouette in most sports. I also like the quirky nerd style NBA players like Russell Westbrook are rocking off the court. I like to have a lot of variety in the type of design work I do, but my favorite items to design are definitely outerwear and snowboarding gloves. Lately, I’ve added a pair of Jordan VI retros into my regular rotation of patterned Doc Martins. They’re in a kid’s colorway-black with a pink teal gradient! I also rock some black and gold Nike Free 5.0’s when I’m in dance class every week. If you were to compete in the Olympics, which sport would you play based on uniform alone? Lastly, how was working with Chris Paul? And we should definitely go buy: The CP3 VI Hyperply Tech Hoody. It’s got a lot of great tech features built in for playing basketball outdoors, AND it can work as a casual every day piece as well! 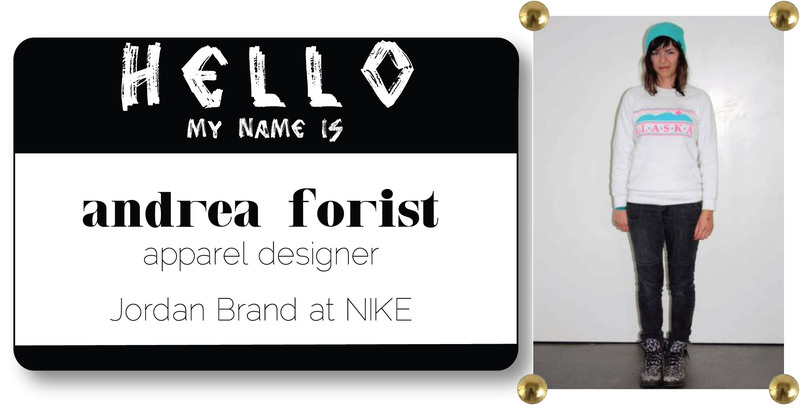 All opinions and view expressed are those of Andrea Forist and do not necessarily represent the views or opinions of Nike Inc. or the Jordan Brand. Thanks, Andrea! Visit her blog here, too. So what do we think? Check in next Monday for a new interview.